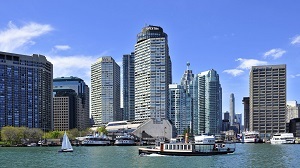 The Westin Harbour Castle Hotel will be the conference venue and the main conference hotel. A number of rooms have been reserved to be allocated on a first-come-first-served basis, while reduced rates have been agreed with the hotel. These rates are valid for all Conference participants for the duration of the Conference as well as for 3 additional days, before and / or after the Conference, based on availability. Please also note that, there is a cut off date for reservations before the Conference, on 15 June 2016. Any requests after that date will be placed on a space and cost available basis. The above rates DO NOT include taxes and fees (currently 13% HST and 3% DMP). The above rates DO NOT include beakfast. The above rates are valid for 3 additional days, before and/or after the Conference, based on availability. The hotel is a smoke free building. The hotel is pet friendly. Extra rollaway: CAD $30.00 per rollaway/per night. Not all rooms may be able to accommodate rollaways or cribs. Please contact the hotel directly for more information. A valid credit card and expiration date is required in the amount equivalent to one night's room and tax to guarantee each reservation. The credit card will be charged immediately with a first night’s deposit. Guest room reservations may be cancelled 72 hours prior to arrival to receive refund of one night’s room and tax deposit. For cancellations received within 72 hours of arrival, the deposit is non-refundable. Room reservations should be made directly with the Hotel using the customized on-line web page provided above. If you need any additional assistance please contact Hotel Reservations at +1-888-627-8559 (Toll-free). The Westin Harbour Castle Hotel is located on the vibrant waterfront of Lake Ontario, just steps away from the Downtown Core via the PATH, Toronto’s underground covered walkway. We invite you to revel in the season as you walk through Toronto's theatre and entertainment districts and discover delight in all the seasonal fun that the nearby Harbourfront Centre has to offer. This CAA/AAA Four Diamond property features refreshing accommodations in Canada's largest city and is a landmark downtown Toronto hotel and your haven of personal well-being in Toronto. Toronto is one of the most cosmopolitan cities in the world; a place where international ideas intersect with Canadian culture. A centre of rare openness, warmth, energy and style, Toronto is enriched by the fusion of traditions, passions and perspectives on life of the more than 100 cultures found here. 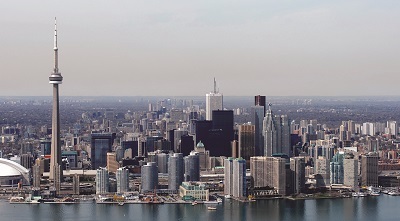 Toronto is a trademark of Toronto Convention & Visitors Association. The Toronto Summer Music Festival is happy to offer a 20% discount for HCII2016 Conference participants. The discount can not be applied on already purchased tickets or in combination with any other offer. Exchanges or refunds are not possible.